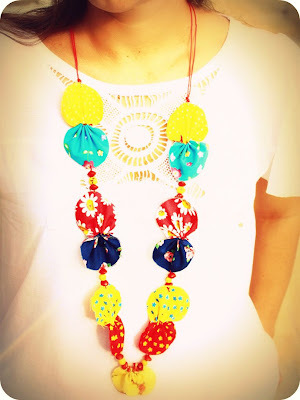 I am so pleased to share with you our guest designer for the month of April, Mara-May Baca!!! Please help me in giving a big AMM welcome to her. You can read a little more about her below and see some examples of her work. Have a look below at some of her fantastic work! Please say hello and welcome Mara-May. We will be showing her work with the AMM kit here soon, so stay tuned for that. Be sure to visit her blog for more inspiration! 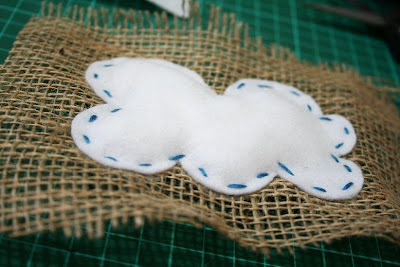 Fabric and dimension are present on almost all of my layouts recently, so I thought I'd share this little cloud pillow I've been playing with. 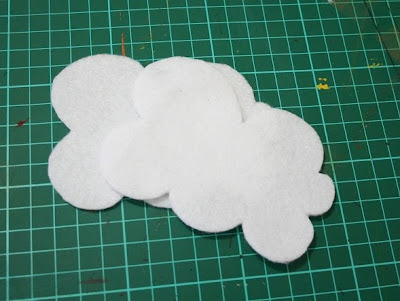 First up, take some white felt and cut out two identical clouds. 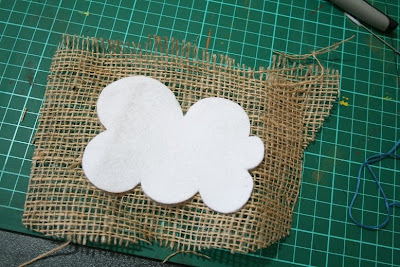 Cut a piece of hessian (or any other fabric!) 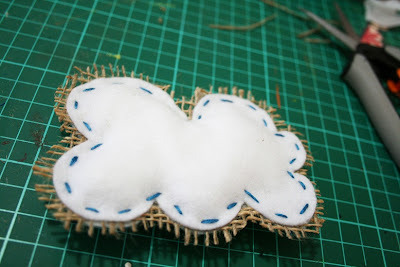 and place it between the two felt clouds. 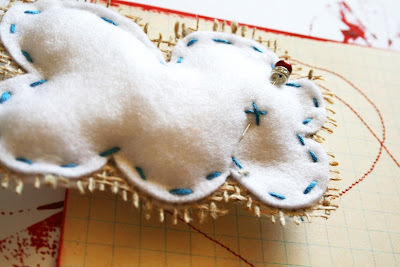 Using a full strand of thread, sew a running stitch around the edge of the cloud through all 3 pieces of fabric, leaving a gap of approximately 1 inch. Use cotton balls or (as I didn't have any!) 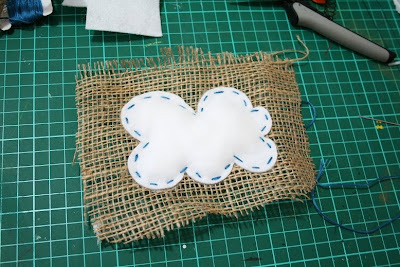 torn up tissue to stuff the cloud, then sew up the remaining gap. 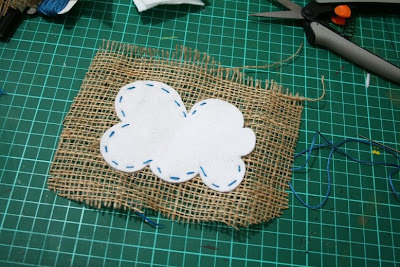 Cut the hessian around the cloud leaving a 1cm border, pull strands out or rough the edges of fabric as desired. 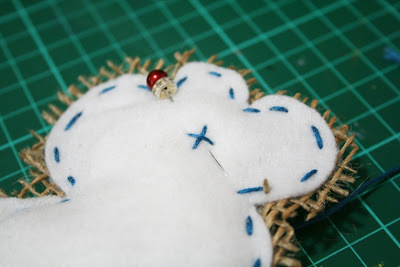 Place the pin through one edge and sew a cross through the whole pillow. 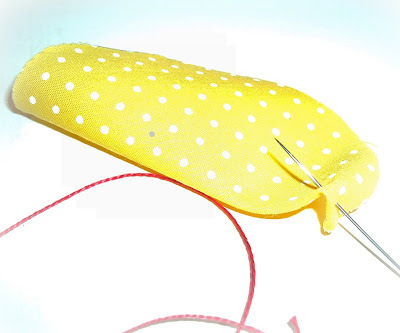 This technique can be used for heaps of cute, handmade dimensional embellies- like petals on a flower, trees, or even just odd shapes to add to clusters - happy stitching! Yay for Mondays because that means we have a new Layout of the Week! This week's pick was chosen by Stacy Cohen. 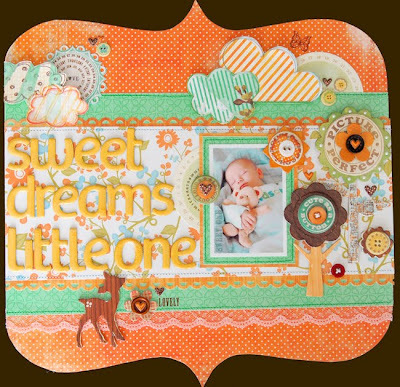 She chose the layout below by Carole Janson. 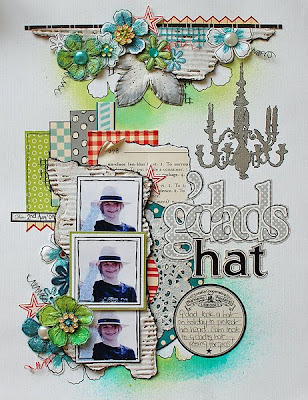 Stacy said, "I absolutely adore this layout by Carole! It totally caught my eye in the AMM gallery, and when I took a closer look at it I was blown away by all the little details. I love the all the layers, the paper piecing, and of course the great stitching." Stacy caught up with Carole to do a little interview so read on to learn a little more about her. 1. 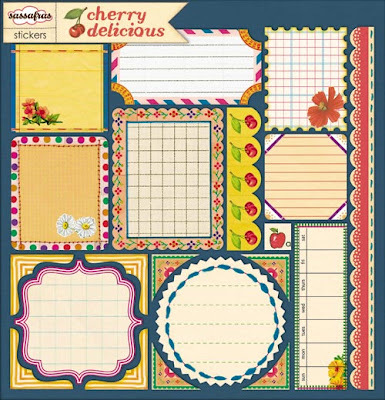 What are your "must have" scrapbooking items? My Scissors, Foam Tape (Dimensional work), pattern paper, thread, and flowers. 2. How long does it take you to finish a page? Anywhere between 2 hours to who knows lol!! I get so caught up in my layouts, they can take awhile. 3. Name some scrapbookers who have inspired you? I love Stacy Cohen, Larissa Albarnez and Emma Trout, they are all so different and I love their use of color, and they use plenty of texture. Larissa Albarnez is someone that I have just discovered through "A Million Memories" and I am in awe. 4. What is your guilty pleasure? I would have to say chocolate. I absolutely love it!! 5. What is the oddest or most out-of-place item currently in your scrap room? I have an Eiffel Tower sitting in my scraproom that I scrapped, and I absolutely love it, but before I scrapped it, it use to look so strange because it was really quite awful. Thanks so much Stacy and Carole. Be sure to leave Carole some love her on this post or on her layout in the gallery by clicking the layout title. 1. 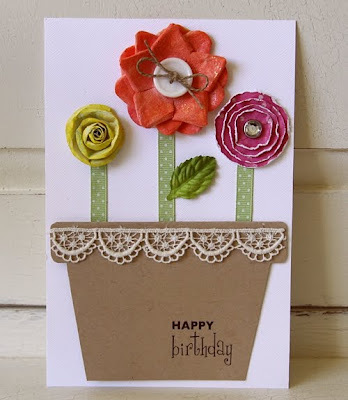 Cut out flower pot using paperscrapz template: fold cardstock in half and place template with the top of the pot along the fold. 2. 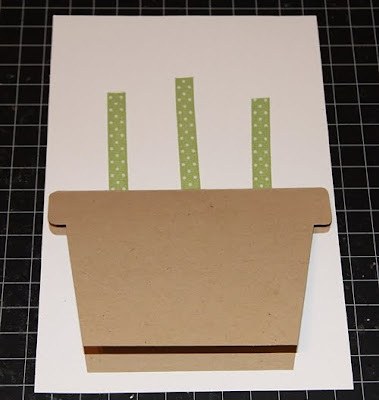 Adhere the flower pot to cardstock or use as a stand-alone flower pot (this will depend on what kind of flowers you’re going to add). 3. 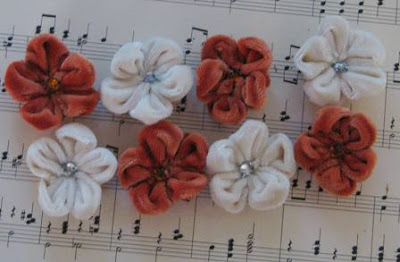 Add stems and flowers. I made my stems out of ribbon strips and I added three different types of flowers (one Prima and two handmade paper flowers). 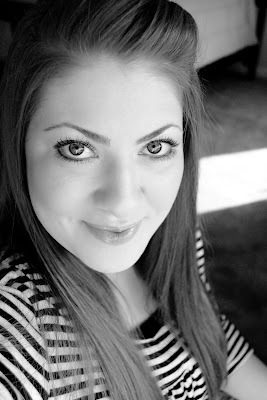 Today Michelle Quinn, owner of A Million Memories, is joining us in our weekly feature, The Design Team Recommends. How she could ever pick her favorite items I have no idea since she practically lives in a scrap store, but here are some products she is loving right now. Sweet Treats-Only 2 of these left! Maya Road Velvet Blossoms-Only 1 left! 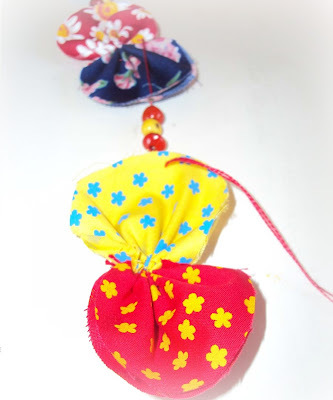 And an oldie but goodie-The Autumn Leaves Whirligig Line NOW ON SALE!!! 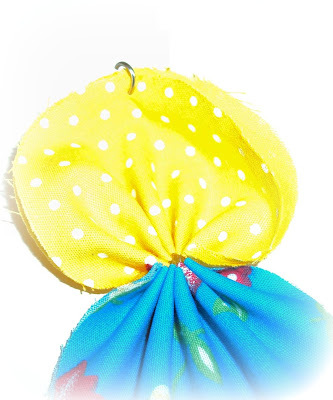 To check out any of these products from the store just click the product title. Be sure to stock up on your favorites before they are gone for good! Since we talked about the winner of our newly revamped design team challenge yesterday I though I would take a couple of minutes to showcase the design team's layout using the sketch and the fantastic March kit. First up is challenge hostess and Design Team Coordinator, Tonya Dirk with this little cutie. "Unlimited Minutes" by Tonya Dirk I love how she added the extra pictures tot he bottom portion of the design. This gorgeous creation is from Stacy Cohen. "Best Friends" by Stacy Cohen Not only are her daughters beautiful but i love the clean design she has going on here and her stitched circles. 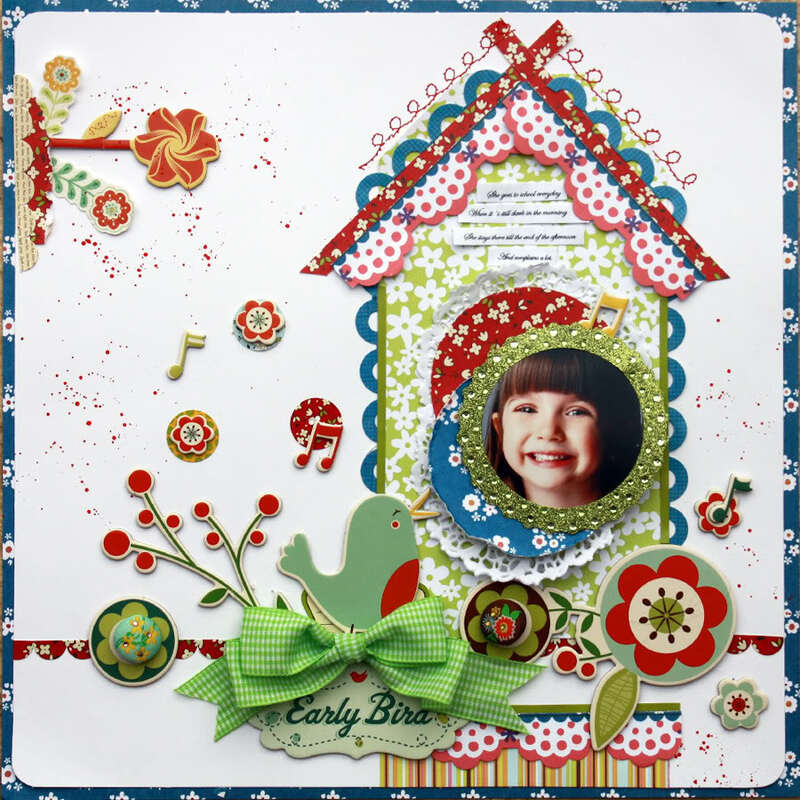 Next is this out of the box layout from Larissa Albernaz. 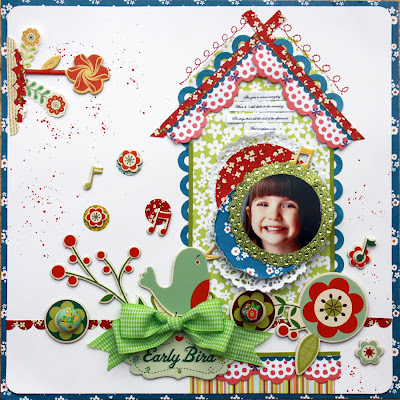 "Early Bird" by Larissa Albernaz I love her paper pieced birdhouse. Who knew paper piecing could look so cool! And lastly, is my creation. We will have an all new sketch and challenge debuting on the 1st of April with the debut of a new kit and I swear all you Girls & Primadonnas and you won't want to miss this one! I wanted to say a big congratulations to "Brainybairn" for being the winner of our newly revamped Design Team Challenge! 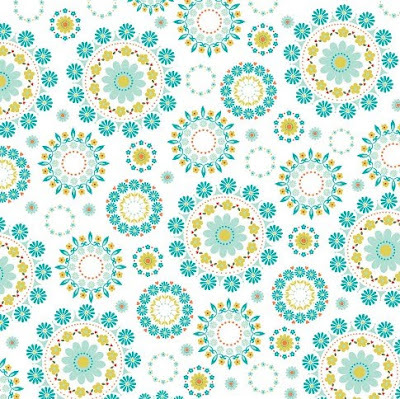 This month's challenge was sponsored by Tonya who said, "I love the photo, how she tweeked the sketch a bit, changed the words to a song to match her LO and the clean lines of it with some clean little clusters of embellies!" 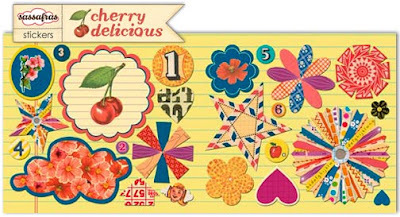 For her layout she has won a $10.00 gift certificate to the AMM store and an assortment of Michelle's awesome vintage trims! "That Little Boy of Mine"
Be sure to leave this AMM newbie some love her on this post or on her layout in the gallery. Just click the layout title. Be back on the first to see our new sketch and challenge and try your hand at winning that awesome prize! 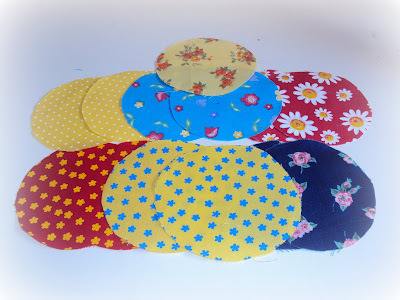 1) Put aside 13 fabric circles (3" size). 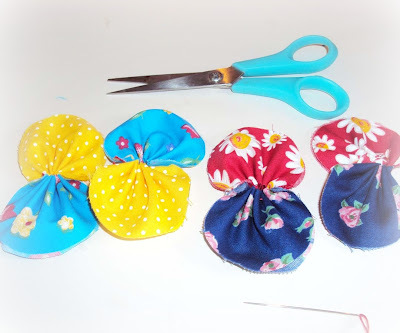 2) Fold each one of them in half and stitch along the open seam. 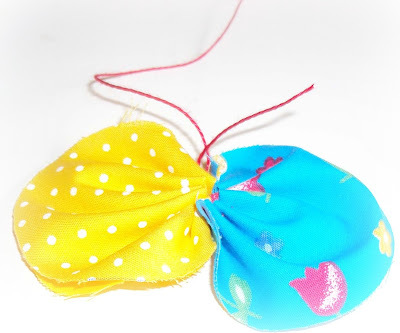 3) Put two stitched circles together and give them a knot. 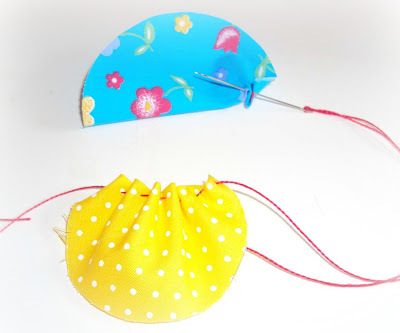 4) Keep on until you get 6 pairs of circles. 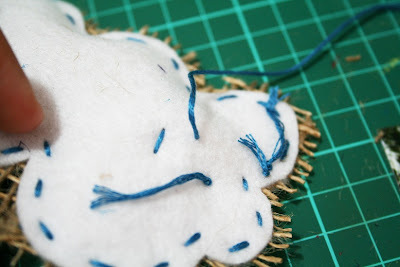 5) For the last one, you should leave only a half stitched circle. 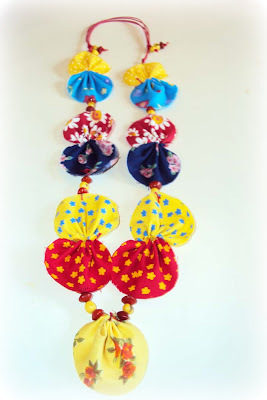 6) To put them together, you’ll sew them with three beads in the way shown in the picture. 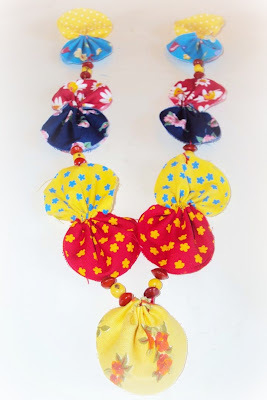 7) Now just add a clasp in your necklace. 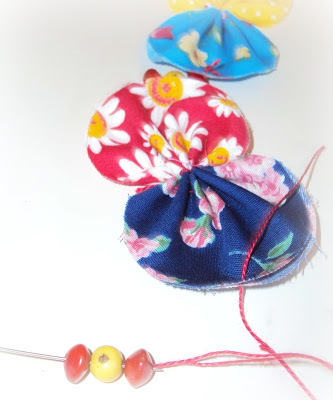 Make a hole in the last circles and add a jewelry ring in each end to which you should add on a pierced and waxed thread, with beaded trinkets on the ends. 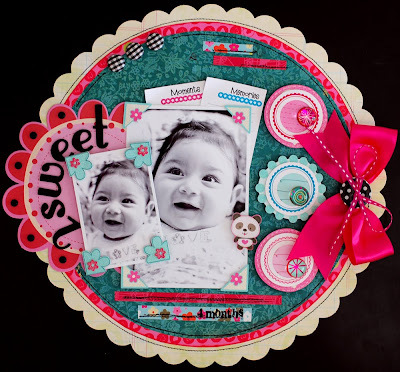 This week's Layout of the Week comes to us from Larissa Albernaz who chose the layout below by Em T, an AMM newbie. So let's give a warm welcome to her and leave lots of love here on this post! 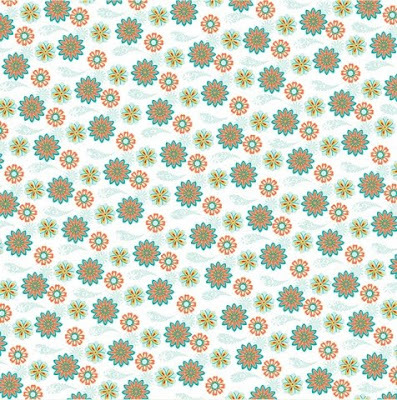 Larissa said, "I love Emma`s design, her painted background, all the dimension and texture. 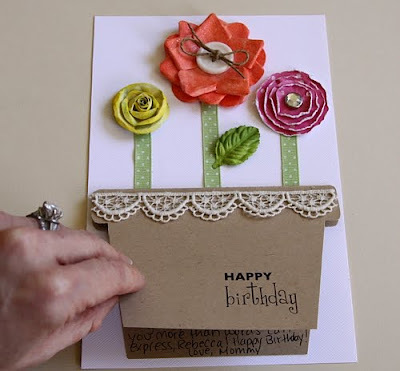 I think this LO is stunning and I adore her paper combo. Everything is perfect!" Read on to learn more about Em T in this little interview Larissa had with her. 1) Tell us a bit about yourself. 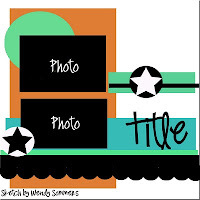 What got you started in scrapbooking? Hi! My name is Emma. I live in the beautiful countryside of the UK with my husband and my two teenage boys. I have been scrapbooking for three years since my lovely neighbour showed me one of her albums. One look and I was hooked! I am so grateful that my family have embraced my hobby, ignored the mess I make when creating and enjoyed the journey with me. 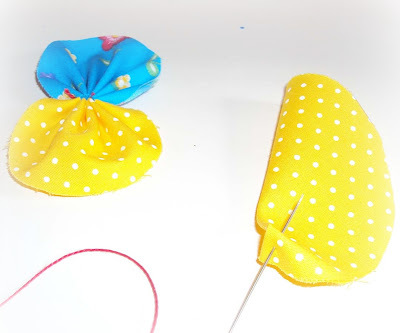 2) What three supplies would you not scrap without? My beloved Tim Holtz scissors (I kid you not, I once lost them and didn't complete a layout until I found my scissors! ), Bazzill cardstock and a good selection of pens. 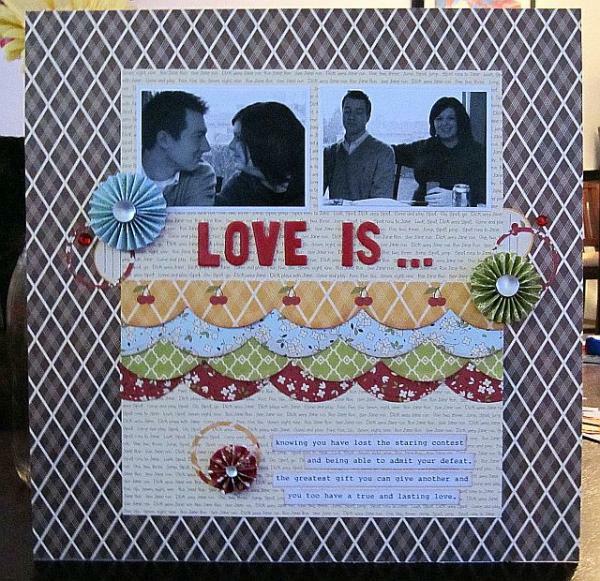 3) What is your favorite part about scrapbooking? Scrapbooking has provided me with an outlet to be feminine in a male dominated household. I love to layer and embellish my pages and use doodling and paint. I have met some wonderful people from around the world through my hobby and have many fabulous memories. 4) What are your favorite products and manufacturers? Petaloo flowers rock! 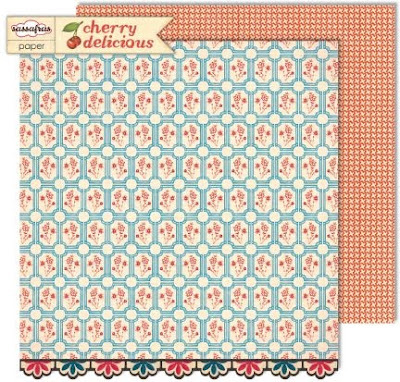 For patterned papers I love Teresa Collins, October Afternoon, Jenni Bowlin...oh, the list goes on. Thickers too....still loving the Thickers. 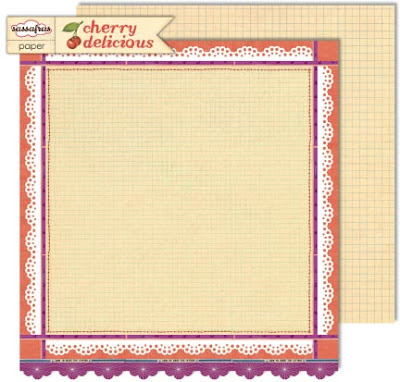 5) tell us about scrapbooking [art and craft] in your country? We have some very talented scrapbookers in the UK. As a country, we do not have a recognisable style....it is very much an individual taste and preference. 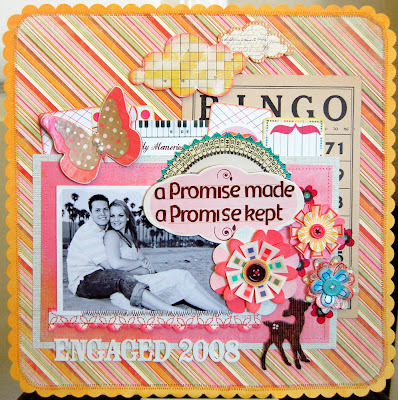 Some scrapbookers have ventured into mixed-media projects and their work is mind-blowing. Thanks for the inspiration Larissa and Em! 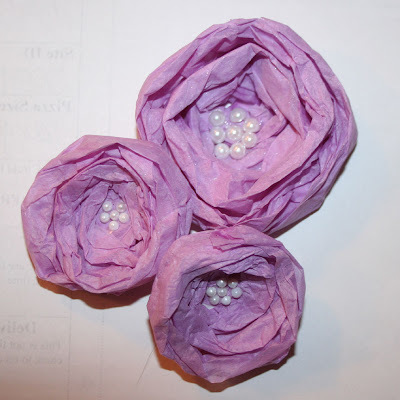 Today I am going to show you how to make these pretty tissue paper flowers. 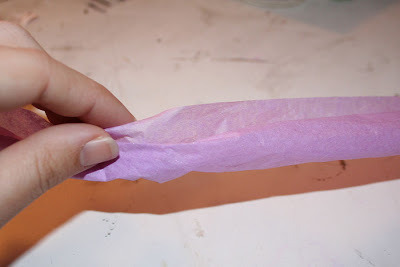 First, start by cutting a strip of tissue paper that is long and skinny (my dimensions were approximately 20 inches x 4 inches). 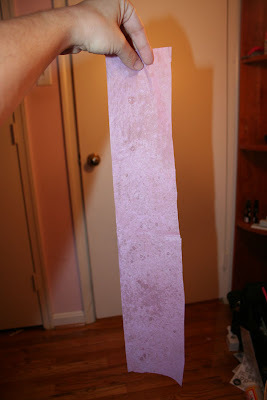 I spritzed my strip with a pearl spray ink to give it some shimmer. Next, roll your strip up, lengthwise. It was hard for me to get a tight roll since my paper was damp from the spray ink, but a loose roll works just fine. 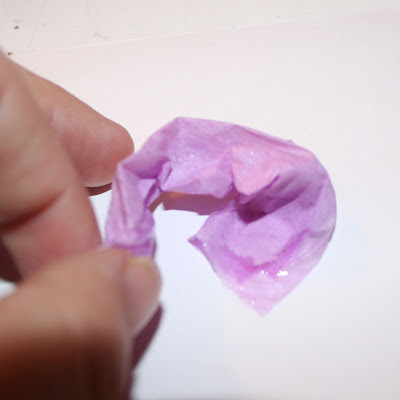 Next, you are going to take one end of your rolled up strip and glue it down to a piece of scrap paper (liquid glue works best). 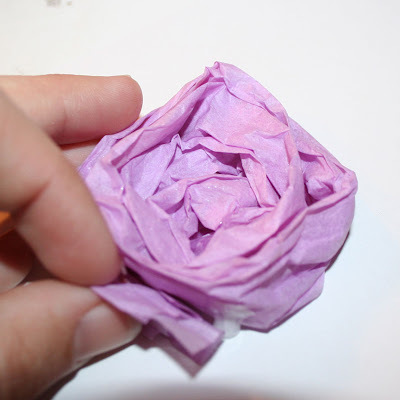 Now that one end is secured down, you are simply going to wind the rest of the paper strip around, forming a layered circle. 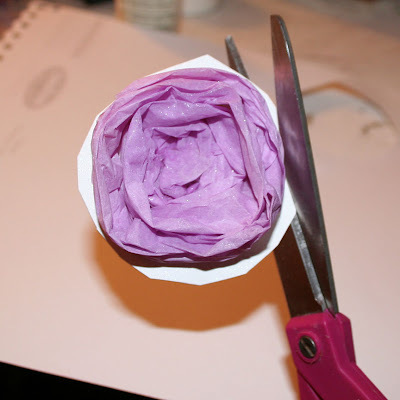 Once your flower is wound all the way around, glue the end piece of the strip to the side of the flower. 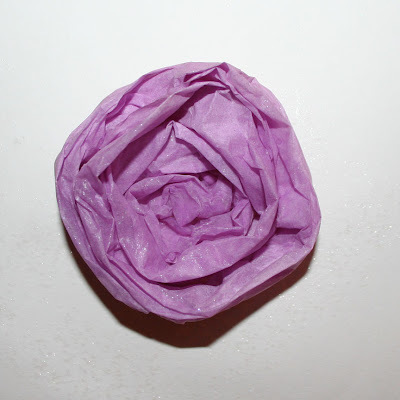 At this point, I sprayed my flower a bit more with spray ink, and I fluffed out the layers of the flower. 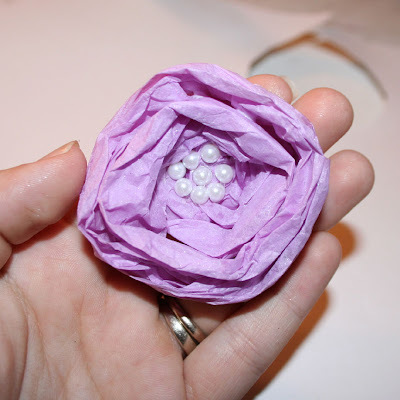 Lastly, you are now going to cut away your scrap paper, leaving the little piece that the initial end of the flower is glued down to - you don't want the paper to show. At this point, your flower is complete! You can leave it how it is, or you can embellish it. I chose to add faux pearls to the center of mine.